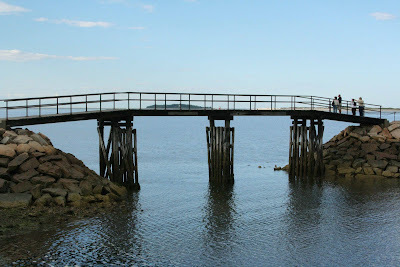 Is this that little bridge over in back of where the Whale watch boats go out of? I'm not sure. Do you know what jetty I'm talking about? You can see it from the Lobster Hut off to the left. It's by the public boat ramp. This little bridge connects the parking lot to the jetty.